Spring plungers are used for indexing and accurate positioning of components and come in a variety of metric and standard sizes. 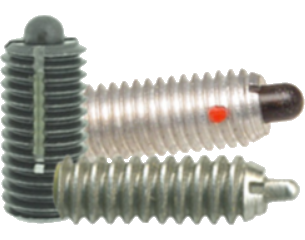 These components use spring-force to apply pressure so that the ball or nose will remain positioned. These plungers have different installation methods including hex socket, slotted drive and top slot for blind-holes and have light, standard, or heavy end forces available to them.